パイレーツアプリを今すぐダウンロード！ Download THE FREE PIRATES APP! 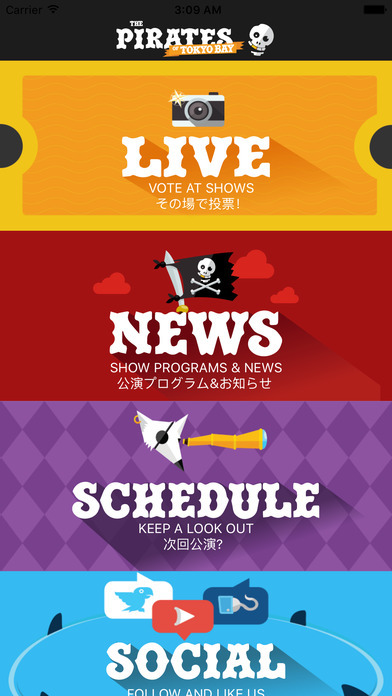 The Pirates of Tokyo Bay (POTB) is Japan's premier bilingual comedy group and this is our iOS and Android app! If you've ever wondered what happens when you put a group of improv performers on a stage with no script who use the audience's suggestions to make the scenes, there's an app for that! All things POTB are here! 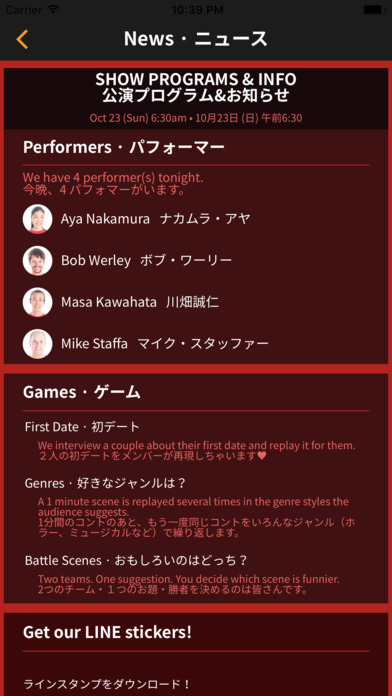 Find out how to see all this ROTFL action with our schedule in Japan and internationally. Wanna join in the fun? Vote for your favorite Pirates while at the show and see the results in real time! Don't miss out! Check out the program page for each show if you missed anything on stage while flirting shamelessly at the bar, I mean, grabbing another drink with your friends. LIVE - Head here to participate during our live shows. 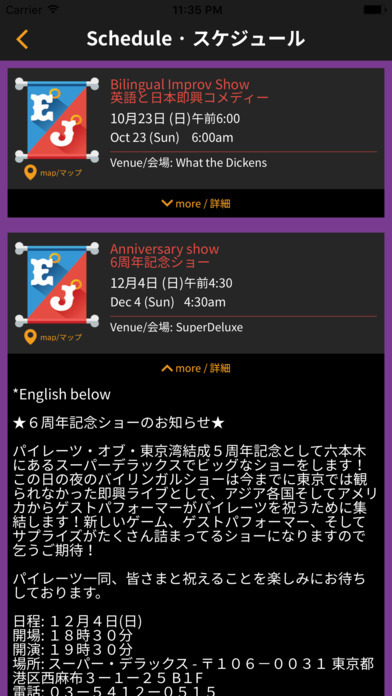 NEWS - everything you need to know about upcoming shows and events with links, maps and more. SCHEDULE - plan your life around us and shower us with your steadfast presence at shows in Japan and abroad. SOCIAL - did you think we weren't a bunch of needy millennials? HAHA. The jokes have already begun. FOLLOW US THOUGH. LINE - because it's line and you just can't not. POTB - No script? No problem. No app? 1992 called. It's for you.